The construction of the Central Street began in 1898. It was called "Chinese Street" at its early age and gained its present name in the late 1920s. Originally, the street was opened up by carts used to transport railway supplies. In May, 1924, the Central Street was floored with square stones according to a Russian engineer's design. Since then it has become a rendezvous of numerous foreign shops, hotels, and bars. Russian leather, British woolen cloth, French perfume, German medicine and plenty more can be found in this fashionable street. 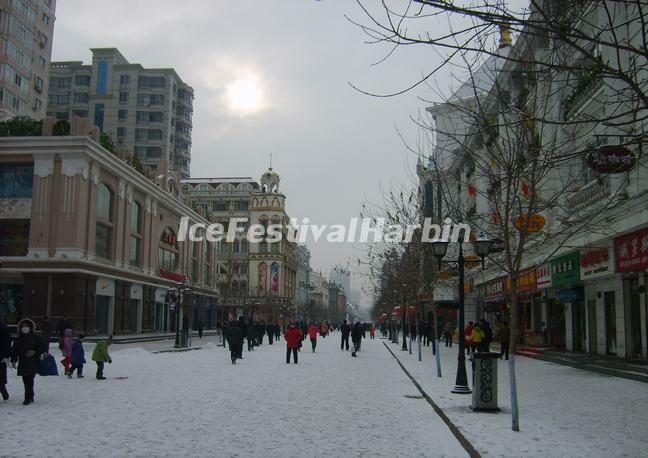 In 1997, Harbin government appointed the street as a pedestrian street, which added greater charm to this enchanting location. Nowadays, with a total length of 1,450 meters, the Central Street reflects a variety of European style buildings. In total, there are 71 works, some of which are replicas reflecting the European style of architecture. Examples of the Renaissance through to the Baroque Period as well as the Eclecticism to the Modern School can be seen in 13 of these buildings. The present Jiaoyu Bookstore (Education Bookstore) is the biggest form of Baroque architecture in Harbin and also the mark of the Central Street. The Mod-Er Hotel (formerly the Modern Hotel) and the Daoliqiulin Shop, built in 1906 and 1919 respectively, are fine examples of Art Nouveau architecture. The Fuer Shop (Women and Children's Shop) in 1917 was the former Xiehe Bank. This building reflects classic Renaissance architecture. There are many other exotic and appealing constructions there. All of them are well preserved and continuously play an important role in people's daily life. 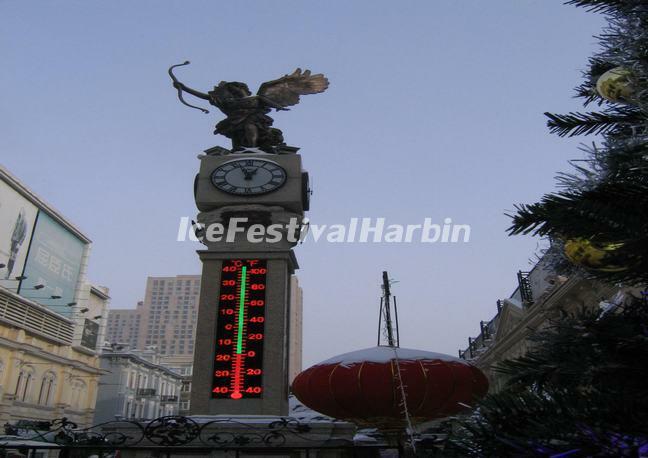 The Central Street is a junction where both Harbin's modern and past civilizations can be seen. It interprets the city perfectly and has witnessed the most brilliant European cultural development for more than 300 years. As one of the longest pedestrian streets in Asia, whenever visitors come here, it will open up to them its charming vistas with its profound culture. It has been a comprehensive recreational place combining tourist pleasure with shopping excitement, and annually attracts thousands upon thousands of visitors.